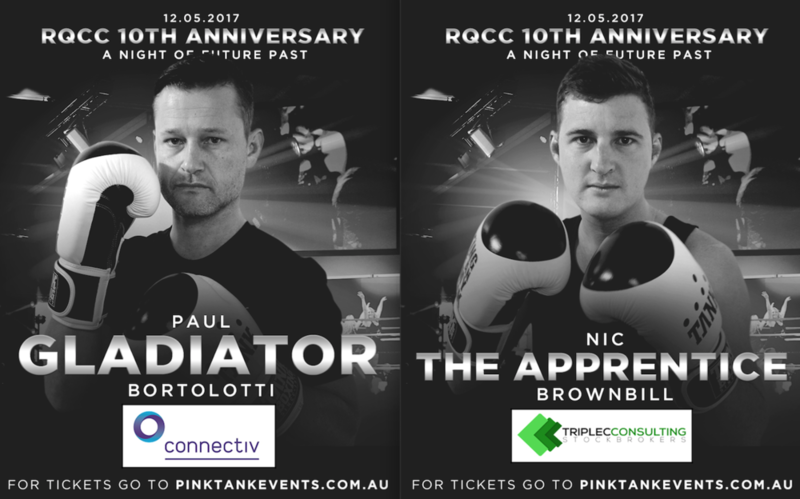 With the highly anticipated RQCC 10th Anniversary THIS FRIDAY MAY 12, it’s time to announce the official match-ups for 2017. The 18 competitors – the stars of the night – face off for the first time at the official weigh in Tuesday May 9! After 11 weeks of grueling training, our new boxers are now match-fit and already throwing down smack talk just like the pros. Get behind your favourite boxer and corner by showing them your support. You can make a difference too for local, sick and disadvantaged children by making a donation to ToyBox International today. CLICK HERE to donate now.